Can you believe it, Mamas? Another school year has almost come to a close. Mother's Day is just around the corner. Father's Day s right after . . . and graduation day as well! I feel like this time of the year is almost as big as Christmas with gift buying. I am the one in our home that purchases all of the Mother's Day and Father's Day gifts, and I love to give something really personal and special. This year, we are celebrating a very special graduation as my little cousin gets set to graduate high school. I remember the day he was born like it was yesterday, and I cannot believe he is an adult! Where does the time go? When Tiny Prints asked us to talk about photo gifts, we knew it was the perfect way to celebrate him! One way to really personalize a gift is through Photo gifts from Tiny Prints, and we love using Tiny Prints for our photo gifts! 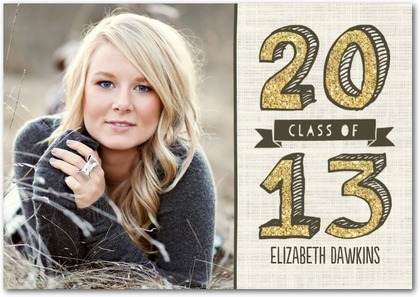 This personalized notebook is the perfect reminder of their special year PLUS great for college bound students! I have a notebook and in it, I keep all of my reminders and to-do lists! We love these Thank You cards. Thank You cards are a great gift, as they are something the graduate can use right away, and it adds a great personalized touch! MamaBreak received the giveaway gift set to share Tiny Prints and this giveaway with MamaBreak readers. We did not receive any other type of compensation. As always, our opinions and experiences are our own. Want to win your own gift set of a personalized notebook and Thank you Cards (plus free shipping)? I would like a personalized notebook. We need graduation announcements and birth announcement for May and June. Custom Stamps and Embossers are pretty AWESOME!!! I like the Initial It life planner! I'd love a 17 X 11" large acrylic tray. Personalized notebook for my art journal! I would love to give the custom rubber stamp as a gift! I would love to recieve the Memo Montage notebook! 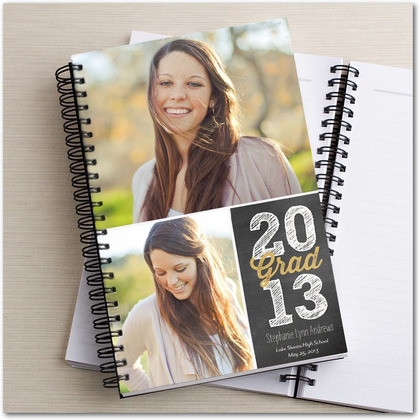 I would love to give a personalized notebook to my mom for mothers day! I would love to do a photo album for my baby for his first year. I'm getting married this year, so I'd love a custom stamp! i like the personalized note pads! they're so pretty! and would make a great gift! I think I would have to say a coffee cup would be great for me with the grandkids pic on it!! i would love to get a canvas! I would love an iPhone case with both of my boys on it! I would love to give an Easel Art from Tiny Prints to my in-laws. 8x11 Photo Book for hubby with pics in it of him and my daughter together. My daughter would love the custom notebooks. i would love the personalized notebook! I also like their Custom Canvas Prints. I like the personalized notebooks and journals! I love the photo magnets and the travel mug!! Would love the notebooks or coffee mug. I would love the Mounted Prints. I would get a personalized notebook. I like the custom embossers. Fantastic! I like the personalized iPhone cases. I would like to win a personalized notebook. I like the 10X10 canvas art.